Before and during World War II, the Japanese military organized “comfort stations” for its soldiers in areas colonized or occupied by Japan. In this vast network of “comfort stations,” large numbers of women were held against their will, exploited, and subjected to horrific brutality. The Korean Council is a non-governmental organization based in Seoul, Korea and has led the effort to seek justice for the victims and to support the survivors. Ms. Mee-hyang Yoon, the Representative of the Korean Council, will explain the context of this issue, offer case histories of the victims, and report on the progress to resolve this issue. 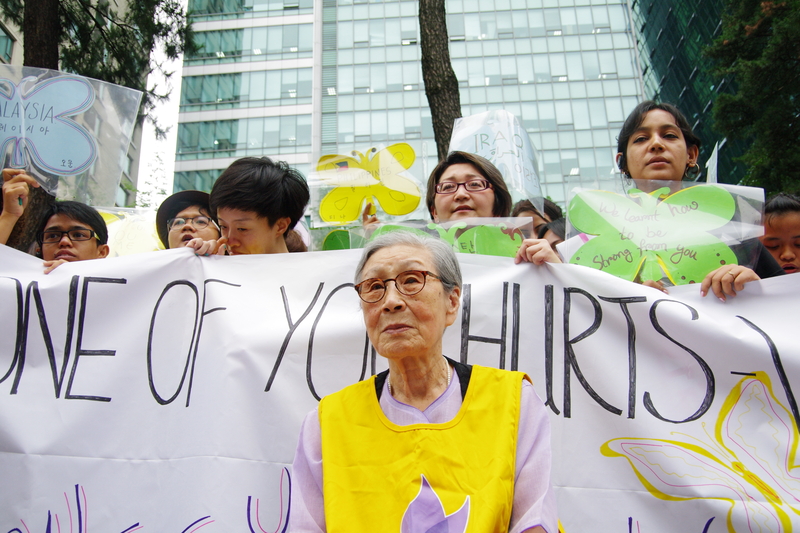 Ms. Bok-dong Kim, a “comfort woman” survivor will share her own experience and make her appeal for justice. Given the complex nature of the Japanese military’s system of “comfort stations” and the incomplete written record, the personal accounts of victims are of particular significance for understanding and addressing this issue today.